closed the US involvement in the Vietnam War. 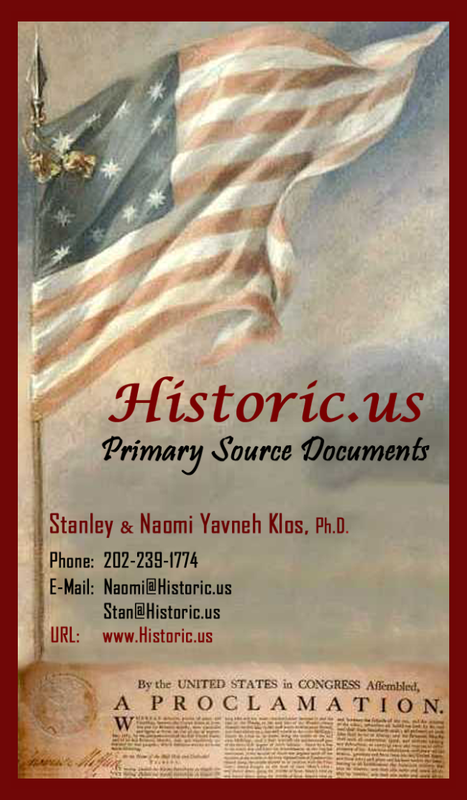 The conquest of Vietnam by France began in 1858 and ended with the Fall of Saigon. Vietnam became part of French Indochina in 1887. Vietnam declared independence after World War II, but France continued to rule until its 1954 defeat by Communist forces under Ho Chi MINH. Under the Geneva Accords of 1954, Vietnam was divided into the Communist North and anti-Communist South. US economic and military aid to South Vietnam grew through the 1960s in an attempt to bolster the government, but US armed forces were withdrawn following a cease-fire agreement in 1973. Two years later, North Vietnamese forces overran the South reuniting the country under Communist rule. Despite the return of peace, for over a decade the country experienced little economic growth because of conservative leadership policies. However, since the enactment of Vietnam's "doi moi" (renovation) policy in 1986, Vietnamese authorities have committed to increased economic liberalization and enacted structural reforms needed to modernize the economy and to produce more competitive, export-driven industries. The country continues to experience protests from various groups - such as the Protestant Montagnard ethnic minority population of the Central Highlands and the Hoa Hao Buddhists in southern Vietnam over religious persecution. Montagnard grievances also include the loss of land to Vietnamese settlers. The Fall of Saigon was the capture of Saigon, the capital of South Vietnam, by the North Vietnamese army on April 30, 1975. It is called Sự kiện 30 tháng 4 (April 30 Incident) or Giải phóng miền Nam (The liberation of the south) by the current Vietnamese government and Ngày mất nước (The day of losing the nation) by the overseas Vietnamese community. The event marked the end of the Vietnam War and the start of a transition period leading to the formal reunification of Vietnam under communist rule. Communist forces under the command of the Senior General Van Tien Dung began their final attack on Saigon, which was commanded by General Nguyen Van Toan on April 29, with a heavy artillery bombardment. 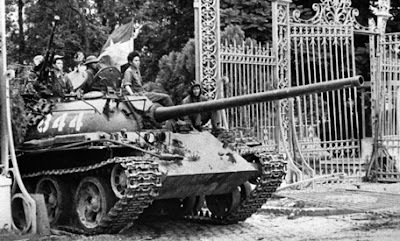 By the afternoon of the next day, North Vietnamese troops had occupied the important points within the city and raised their flag over the South Vietnamese presidential palace. South Vietnam capitulated shortly after. The city was renamed Ho Chi Minh City. The fall of the city was preceded by the evacuation of almost all the American civilian and military personnel in Saigon, along with tens of thousands of South Vietnamese civilians. The evacuation culminated in Operation Frequent Wind, which was the largest helicopter evacuation in history.In addition to the flight of refugees, the end of the war and institution of new rules by the communists contributed to a decline in the population of the city. The rapidity with which the South Vietnamese position collapsed in 1975 was surprising to most American and South Vietnamese observers, and probably to the North Vietnamese and their allies as well. For instance, a memo prepared by the CIA and Army Intelligence and published on 5 March indicated that South Vietnam could hold through the current dry season—i.e. at least until 1976. These predictions proved to be grievously in error. Even as that memo was being released, General Dung was preparing a major offensive in the Central Highlands of Vietnam, which began on 10 March and led to the capture of Ban Me Thuot. The ARVN began a disorderly and costly retreat, hoping to redeploy its forces and hold the southern part of South Vietnam, perhaps an enclave south of the 13th parallel. Supported by artillery and armor, the North Vietnamese continued to march towards Saigon, capturing the major cities of northern South Vietnam at the end of March—Huế on the 25th and Da Nang on the 28th. Along the way, disorderly South Vietnamese retreats and the flight of refugees—there were more than 300,000 in Da Nang—damaged South Vietnamese prospects for a turnaround. After the loss of Da Nang, those prospects had already been dismissed as nonexistent by American Central Intelligence Agency officers in Vietnam, who believed nothing short of B-52 strikes against Hanoi could possibly stop the North Vietnamese. By 8 April, the North Vietnamese Politburo, which in March had recommended caution to Dung, cabled him to demand "unremitting vigor in the attack all the way to the heart of Saigon." On 14 April, they renamed the campaign the "Ho Chi Minh campaign," after revolutionary leader Ho Chi Minh, in the hopes of wrapping it up before his birthday on 19 May. Meanwhile, South Vietnam failed to garner any significant increase in military aid from the United States, killing President Nguyen Van Thieu's hopes for renewed American support. PAVN forces reached Xuan Loc, a strategic gateway situated on the highway into Saigon, on 9 April. The battle of Xuan Loc lasted until 20 April, and though the ARVN fought with extreme tenacity, the communists captured the town. The North Vietnamese front line was now just 26 miles (42 km) from downtown Saigon. The victory at Xuan Loc, which had drawn many South Vietnamese troops away from the Mekong Delta area, opened the way for PAVN to encircle Saigon, and they soon did so, moving 100,000 troops in position around the city by 27 April. With the ARVN having many fewer defenders, the fate of the city was effectively sealed. The rapid North Vietnamese advances of March and early April led to increased concern in Saigon that the city, which had been fairly peaceful throughout the war and whose people had endured relatively little suffering, was soon to come under direct attack. Many feared that once Communists took control of the city, a bloodbath of reprisals would take place. In 1968, PAVN and National Liberation Front (NLF) forces had occupied Hue for close to a month. After the Communists were repelled, American and ARVN forces had found mass graves. A study prepared for the U.S. mission in Vietnam indicated that the communists had targeted ARVN officers, Catholics, intellectuals and businessmen, and other suspected counterrevolutionaries. More recently, eight Americans captured in Ban Me Thout had vanished and reports of beheadings and other executions were filtering through from Hue and Da Nang, mostly spurred on by government propaganda. Most Americans and other Westerners wanted to evacuate the city before it fell, and many South Vietnamese wanted to leave as well. As early as the end of March, some Americans were leaving the city. For instance, ten families departed on March 31. Flights out of Saigon, lightly booked under ordinary circumstances, were full. Throughout April the speed of the evacuation increased, as the Defense Attaché's Office (DAO) began to fly out nonessential personnel. Many Americans attached to the DAO refused to leave without their Vietnamese friends and dependents, who included common-law wives and children. It was illegal for the DAO to move these people to American soil, and this initially slowed down the rate of departure, but eventually the DAO began illegally flying undocumented Vietnamese to Clark Air Force Base in the Philippines. On 3 April, President Gerald R. Ford announced "Operation Babylift", which would evacuate about 2000 orphans from the country. One of the C-5A Galaxy planes involved in the operation crashed, killing 138 passengers and seriously reducing the morale of the American staff. In addition to the 2000 orphans evacuated by Babylift, Operation New Life resulted in the evacuation of over 110,000 Vietnamese refugees. By this time the Ford administration had also begun planning a complete evacuation of the American presence. Planning was complicated by practical, legal, and strategic concerns. The administration was divided on how swift the evacuations should be. The Pentagon sought to evacuate as fast as possible, to avoid the risk of casualties or other accidents. The U.S Ambassador to South Vietnam, Graham Martin, was technically the field commander for any evacuation, since evacuations are in the purview of the State Department. Martin drew the ire of many in the Pentagon by wishing to keep the evacuation process as quiet and orderly as possible. His desire for this was to prevent total chaos and to deflect the real possibility of South Vietnamese turning against Americans, and to keep all-out bloodshed from occurring. Ford approved a plan between the extremes in which all but 1,250 Americans—few enough to be removed in a single day's helicopter airlift—would be evacuated quickly; the remaining 1,250 would leave only when the airport was threatened. In between, as many Vietnamese refugees as possible would be flown out. Meanwhile, Martin began (in his words) "playing fast and loose with exit visas" to allow any and all who wished to leave Saigon to depart by any means available in the early days. Without the Pentagon's knowledge, Martin and Deputy Chief of Mission Wolfgang Lehmann had already begun allowing thousands of South Vietnamese nationals to depart. American evacuation planning was set against other administration policies. Ford still hoped to gain additional military aid for South Vietnam. Throughout April, he attempted to get Congress behind a proposed appropriation of $722 million, which might allow for the reconstitution of some of the South Vietnamese forces that had been destroyed. Kissinger was opposed to a full-scale evacuation as long as the aid option remained on the table, because the removal of American forces would signal a loss of faith in Thieu and severely weaken him. There was also concern in the administration over whether the use of military forces to support and carry out the evacuation was permitted under the newly-passed War Powers Act. Eventually White House lawyers determined that the use of American forces to rescue citizens in an emergency was unlikely to run afoul of the law, but the legality of using military assets to withdraw refugees was unknown. The evacuation of Saigon also had to compete for resources with the imminent evacuation of Phnom Penh, the capital of Cambodia, which fell on 17 April. While American citizens were generally assured of a simple way to leave the country just by showing up to an evacuation point, South Vietnamese who wanted to leave Saigon before it fell often resorted to independent arrangements. The under-the-table payments required to gain a passport and exit visa jumped sixfold, and the price of seagoing vessels tripled. Those who owned property in the city were often forced to sell it at a substantial loss or abandon it altogether; the asking price of one particularly impressive house was cut 75 percent within a two-week period. American visas were of enormous value, and Vietnamese seeking American sponsors posted advertisements in newspapers. One such ad read: "Seeking adoptive parents. Poor diligent students:" followed by names, birth dates, and identity card numbers. As the North Vietnamese chipped away more and more of South Vietnam, internal opposition to President Thieu continued to accumulate. For instance, in early April, the Senate unanimously voted through a call for new leadership, and some top military commanders were pressing for a coup. In response to this pressure, Thieu made some changes to his cabinet, and Prime Minister Tran Thien Khiem resigned. This did little to reduce the opposition to Thieu. On 8 April a South Vietnamese pilot bombed the presidential palace and then flew to a PAVN-controlled airstrip; Thieu was not hurt. Many in the American mission—Martin in particular—along with some key figures in Washington believed that negotiations with the Communists were possible, especially if Saigon could stabilize the military situation. Ambassador Martin's hope was that North Vietnam's leaders would be willing to allow a "phased withdrawal" whereby a gradual departure might be achieved in order to allow helpful locals and all Americans to leave (along with full military withdrawal) over a period of months. Opinions were divided on whether any government headed by Thieu could effect such a political solution. The Provisional Revolutionary Government's foreign minister had on 2 April indicated that the PRG might negotiate with a Saigon government that did not include Thieu. Thus, even among Thieu's supporters, pressure was growing for his ouster. President Thieu resigned on 21 April. His remarks were particularly hard on the Americans, first for forcing South Vietnam to accede to the Paris Peace Accords, second for failing to support South Vietnam afterwards, and all the while asking South Vietnam "to do an impossible thing, like filling up the oceans with stones." The presidency was turned over to Vice President Tran Van Huong. The Communist line, broadcast by Radio Hanoi, was that the new regime was merely "another puppet regime." Before daybreak on 29 April, Tan Son Nhut airport was hit by rockets and heavy artillery. In the initial shelling, C-130E, 72-1297, c/n 4519, of the 314th Tactical Airlift Wing, out of Clark Air Base, Philippines, was destroyed by a rocket while taxiing to pick up evacuees. The crew evacuated the burning aircraft on the taxiway and departed the airfield on another C-130 that had previously landed. The continuing rocket fire and debris on the runways caused General Homer D. Smith, the U.S. defense attaché in Saigon, to advise Ambassador Martin that the runways were unfit for use and that the emergency evacuation of Saigon would need to be completed by helicopter. Originally, Ambassador Martin had fully intended to effect the evacuation by use of fixed-wing aircraft from the base. This plan was altered at a critical time when a South Vietnamese pilot decided to defect, and jettisoned his ordnance along the only runways still in use (which had not yet been destroyed by shelling). Under pressure from Kissinger, Martin forced Marine guards to take him to the air base in the midst of continued shelling, so he might personally ascertain the situation. After seeing that fixed-wing departures were not an option (a mammoth decision Martin did not want to make without firsthand responsibility in case the helicopter lift failed), Martin gave the green light for the helicopter flights to the embassy to begin in earnest. Reports came in from the outskirts of the city that the North Vietnamese were moving. At 10:48 a.m., Martin relayed to Kissinger his desire to activate "the FREQUENT WIND" evacuation plan; Kissinger gave the order three minutes later. The American radio station began regular play of Irving Berlin's "White Christmas," the signal for American personnel to move immediately to the evacuation points. Under this plan, CH-53 and CH-46 helicopters were used to evacuate Americans and friendly Vietnamese to ships, including the Seventh Fleet, in the South China Sea. The main evacuation point was the DAO compound at Tan Son Nhut; buses moved through the city picking up passengers and driving them out to the airport, with the first buses arriving at Tan Son Nhut shortly after noon. The first CH-53 landed at the DAO compound in the afternoon, and by the evening, 395 Americans and more than 4,000 Vietnamese had been evacuated. By 23:00 the U.S. Marines who were providing security were withdrawing and arranging the demolition of the DAO office, American equipment, files, and cash. Air America UH-1s also participated in the evacuation. 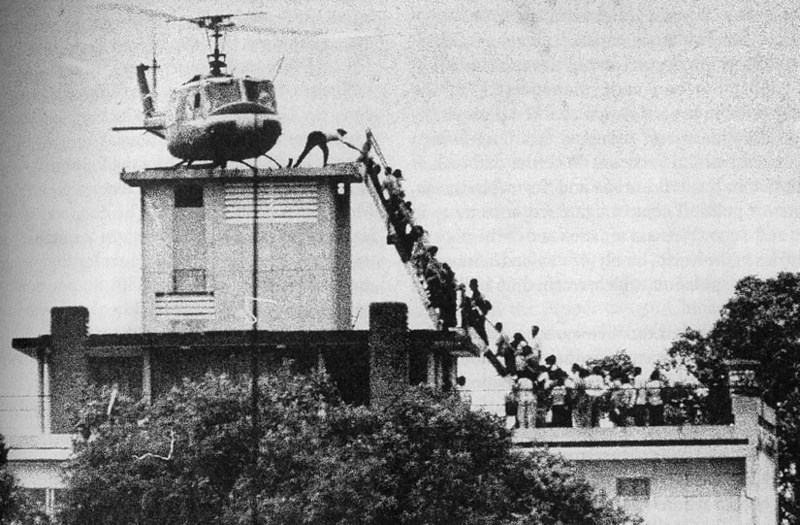 The original evacuation plans had not called for a large-scale helicopter operation at the U.S. embassy. Helicopters and buses were to shuttle people from the embassy to the DAO compound. However, in the course of the evacuation it turned out that a few thousand people were stranded at the embassy, including many Vietnamese. Additional Vietnamese civilians gathered outside the embassy and scaled the walls, hoping to claim refugee status. Thunderstorms increased the difficulty of helicopter operations. Nevertheless, the evacuation from the embassy continued more or less unbroken throughout the evening and night. Vietnamese refugees arriving on a U.S. Navy vessel. At 03:45 on the morning of 30 April, the refugee evacuation was halted. Ambassador Martin had been ordering that South Vietnamese be flown out with Americans up to that point. Kissinger and Ford, livid with Martin's regard for the lives of the Vietnamese being equal to those of the Americans, quickly ordered Martin to evacuate only Americans from that point forward. Reluctantly, Martin announced that only Americans were to be flown out, due to worries that the North Vietnamese would soon take the city and the Ford administration's desire to announce the completion of the American evacuation. Ambassador Martin was ordered by President Ford to board the evacuation helicopter. The call sign of that helicopter was "Lady Ace 09", and the pilot carried direct orders from President Ford for Ambassador Martin to be on board. The pilot, Gerry Berry, had the orders written in grease-pencil on his kneepads. Ambassador Martin's wife, Dorothy, had already been evacuated by previous flights, and left behind her personal suitcase so a South Vietnamese woman might be able to squeeze on board with her. Model of US embassy in Saigon. The rooftop staircase that can be seen in the model is on permanent display at the Gerald R. Ford Museum in Grand Rapids, Michigan. "Lady Ace 09" from HMM-165 and piloted by Berry, took off around 05:00 - had Martin refused to leave, the Marines had a reserve order to arrest him and carry him away to ensure his safety. The embassy evacuation had flown out 978 Americans and about 1,100 Vietnamese. The Marines who had been securing the embassy followed at dawn, with the last aircraft leaving at 07:53. A few hundred Vietnamese were left behind in the embassy compound, with an additional crowd gathered outside the walls. The Americans and the refugees they flew out were generally allowed to leave without molestation from either the North or South Vietnamese. Pilots of helicopters heading to Tan Son Nhut were aware that PAVN anti-aircraft guns were tracking them, but they refrained from firing. The Hanoi leadership, reckoning that completion of the evacuation would lessen the risk of American intervention, had instructed Dung not to target the airlift itself. Meanwhile, members of the police in Saigon had been promised evacuation in exchange for protecting the American evacuation buses and control of the crowds in the city during the evacuation. Although this was the end of the American military operation, Vietnamese continued to leave the country by boat and, where possible, by aircraft. South Vietnamese pilots who had access to helicopters flew them offshore to the American fleet, where they were able to land; those who left South Vietnam this way include at least General Nguyen Cao Ky. Most of the South Vietnamese helicopters were dumped into the ocean to make room on the decks for more aircraft. South Vietnamese fighters and other small planes also landed on American carriers. Decades later, when the U.S. reestablished diplomatic relations with Vietnam, the old U.S. Embassy property was returned to the U.S. The historic staircase that led to the rooftop helicopter was salvaged and is on permanent display at the Gerald R. Ford Museum in Grand Rapids, Michigan. At 06:00 on 29 April, General Dung was ordered by the Politburo to "strike with the greatest determination straight into the enemy's final lair." After one day of bombardment and general offensive, the North Vietnamese were ready to make their final push into the city. In the early hours of 30 April, Dung received orders from the Politburo to attack. He then ordered his field commanders to advance directly to key facilities and strategic points in the city. The first PAVN unit to enter the city was the 324th Division. Duong Van Minh, who had been president of South Vietnam for only three days, at 10:24 announced a surrender and asked South Vietnamese forces "to cease hostilities in calm and to stay where they are," while inviting the Provisional Revolutionary Government to engage in "a ceremony of orderly transfer of power so as to avoid any unnecessary bloodshed in the population." 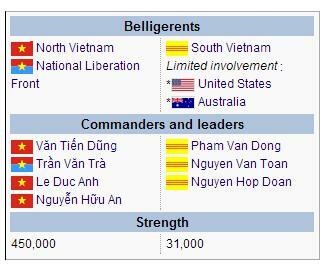 However, the North Vietnamese were uninterested in a handover and simply took the city, arresting Minh. The gates of the Independence Palace were destroyed by PAVN tanks as they entered, and the NLF flag was raised over the Palace at 11:30. At 15:30, Minh broadcast over the radio, stating "I declare the Saigon government...completely dissolved at all levels." The dissolution of the South Vietnamese government effectively ended the Vietnam War. The Communists renamed the city after Ho Chi Minh, former President of North Vietnam, although this name was not frequently used outside of official business. Order was slowly restored, although the by-then-deserted U.S. embassy was looted, along with many other businesses. Communications between the outside world and Saigon were cut. The Communist party machinery in South Vietnam was weakened, owing in part to the Phoenix program, so the North Vietnamese army was responsible for maintaining order and General Tran Van Tra, Dung's administrative deputy, was placed in charge of the city. The new authorities held a victory rally on 7 May. According to the Hanoi government, more than 200,000 South Vietnamese government officials, military officers, and soldiers were sent to "reeducation camps", where torture, disease and malnutrition were widespread. One objective of the Communist government was to reduce the population of Saigon, which had become swollen with an influx of people during the war and was now overcrowded with high unemployment. "Reeducation classes" for former soldiers in the South Vietnamese armed forces indicated that in order to regain full standing in society they would need to move from the city and take up farming. Handouts of rice to the poor, while forthcoming, were tied to pledges to leave Saigon for the countryside. According to the Vietnamese government, within two years of the capture of the city one million people had left Saigon, and the state had a target of 500,000 further departures. 30 April is a public holiday in Vietnam, known as Reunification Day (though the reunification of the nation actually occurred on 2 July 1976) or Liberation Day (Ngày Giải Phóng). Whether the evacuation had been successful was questioned following the end of the war. Operation Frequent Wind was generally assessed as an impressive achievement — Van Tien Dung conceded this in his memoirs, and the New York Times described it as being carried out with "efficiency and bravery" But the airlift was also criticized for being too slow and hesitant and that it was inadequate in removing Vietnamese connected with the American presence. Ambassador Martin shouldered much of the blame, and did so without feeling the need to explain his motives to the media. Martin's actions had either allowed thousands of South Vietnamese to escape who otherwise would have been trapped, or doomed thousands of others who could not escape. The evacuations might have caused a rash of panic resulting in loss of American lives, or they might not. Meanwhile, from the onset of the evacuation, President Ford and Henry Kissinger were only concerned about the evacuation of crucial American personnel. However, many in the United States Congress (with no first-hand knowledge of the massive operation) blamed Martin for proceeding too slowly. This was in direct contradiction to the realities of the situation, since Martin had been the one who had allowed many to leave the country days before the final evacuation with little or no official reason. The U.S. State Department estimated that the Vietnamese employees of the American Embassy in Vietnam, past and present, and their families totaled 90,000 people. In his testimony to Congress, Martin asserted that 22,294 such people were evacuated by the end of April. Of the tens of thousands of former South Vietnamese employees of the State Department, CIA, U.S military, and countless armed forces officers and personnel at risk of communist reprisal in the northern two-thirds of the country abandoned to the communists, nothing is known. April 30 is celebrated as a public holiday in Vietnam as Liberation Day or Reunification Day. Workers get the day off, as well as May 1, and the holiday is filled with much public pageantry.